Did you know there's a new brewery in town? Well, not town. But in the region. Middle of nowhere... but still close by. 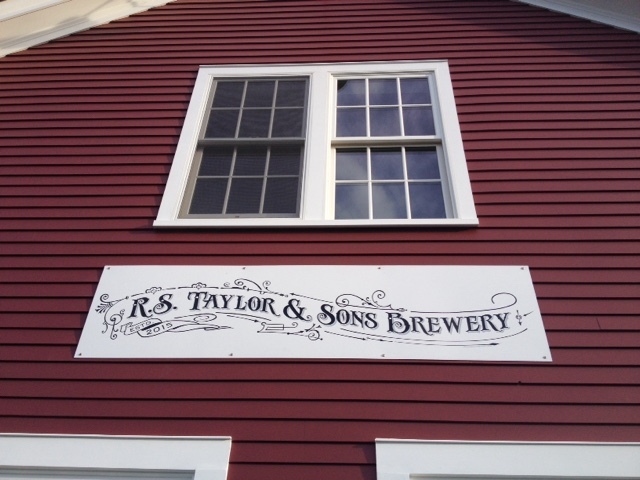 RS Taylor & Sons opened up in early September and has already made its way onto the Adirondack Craft Beverage Trail. I left most of the beer talk to M, but managed to listen in from time to time while drinking my flight. The person at the bar was the owner/brewer himself, Richard Taylor. The background info you can find on their website, so it's not necessary to re-write it here. But I do like hearing about people who have been home brewing for years and make the leap to opening a brewery. Flights are $8 for four samples. Naturally we tried them all. 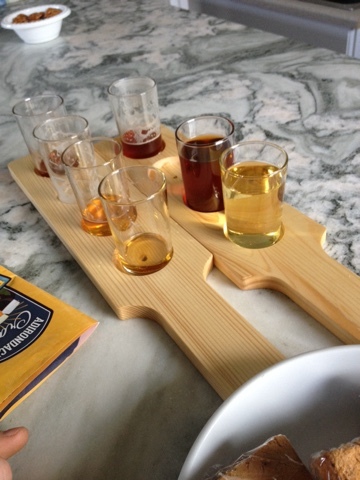 The board on the left from back to front - Willie's Nut Brown Ale; Legends of the Fall IPA; English Ale; Belcher Town Ale. The board on the right - Amber Ale; (not in the pic, but in my hand) Oatmeal Stout; Mr. Crane's Pumpkin Ale; and the lone cider/guest tap Hidden Star from Slyboro. Of the seven beers, Legends and Belcher were my favorite. M enjoyed Legends as well so we bought a growler to take home. Lasted a day. Barely. 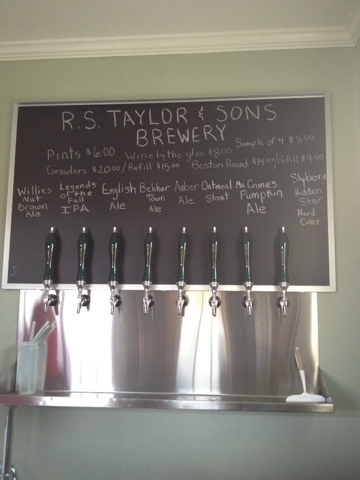 There is also a kitchen in the tap room, which I believe is run by Mr. Taylor's wife. The menu is limited and changes often. Most, if not all of the ingredients are locally sourced. If we had not just ate, I would have tried their cheese plate or chili. If you need a place to check out this weekend, definitely stop on by.